Books bring people together. All sorts of communities--prisons, colleges, talk shows, cities--have figured this out and have instituted reading programs. In 2002, I read The Laramie Project along with other University of Maryland students, faculty, and staff. 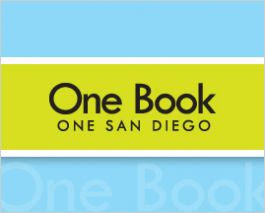 In 2007, San Diego instituted its One Book One San Diego program. I read--and was profoundly affected by--Enrique's Journey. The 2010 book will soon be chosen. You can vote by going here. I am a freelance writer living in San Diego. I have an amazing husband, two very short dogs, and a triathlon habit. John Irving is Old School. He Likes Plot. San Diego Public Library--Vote Next Week! For Sale: '99 Chrysler Sebring--low miles! Stray Carrier Pigeon: Intermittent missives, delivery times may vary.